Swimming lessons are an important part of many children’s lives. It is a time when they face their fears in the name of learning a new life skill. Although it isn’t always easy, we believe swimming is an essential life skill that everyone should develop, especially living in the greater Sacramento area where pools, lakes, rivers, and oceans are all nearby. Even if you don’t plan to ever swim at a competitive level, water safety and water awareness skills are vital. 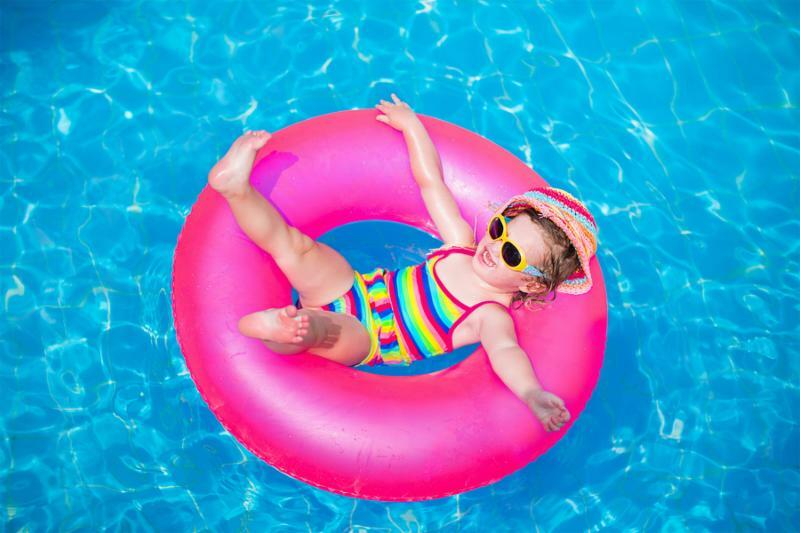 Starting swim lessons can be intimidating and overwhelming, both for the child and the parent, but at Steve Wallen Swim School, we’ve seen it all! Below are the most common types of swimmers we see on a daily basis. Within minutes of their first swim lesson, the natural is pushing off independently and in a horizontal swimming position with great breath control. These swimmers do most likely have a genetic advantage to learning how to swim, but many have also spent countless hours in the bath, shower, and pool as babies, preparing for this day. There is not much explanation as to why some swimmers have it easier, other than the genetics and that they love swimming! The anxious learner may start as a swimmer who is nervous about their first swimming lesson and may even take half the class to put their feet in the water. Once in the water, the anxiety will subside but may reappear when the swimmer begins to learn more advanced skills that are out of their comfort zone. Although this is a minor speed bump in their learning process, our experienced and patient swim instructors are here to address these concerns and help them overcome. Whether striking up a conversation with an instructor or chatting with another student, the talker would prefer to spend most of their lesson conversing with their pool mates over swimming. While this is often fun and entertaining for others around, it means extra work for their instructor whose primary goal becomes making sure the student is focused and maximizing their lesson time. Swimmers who love the water so much they splash themselves and everyone around them because they just can’t hold back their excitement. Typically, their splashing is contagious and soon enough every student in the pool is catching on. They may or may not know how to swim, or even like to put their face in, yet they LOVE the water. These swimmers make such a fuss about getting in the water you would think they were being sent off to be tortured and never to be seen again. Often times this behavior is due to separation anxiety, fear, control issues, or some combination of all three. Screamers require a very patient swim instructor who will be persistent yet sympathetic along the way. Many times our ‘screamers’ can transition into our last type of swimmer, The Bathroom Breaker, as they learn new ways to avoid their precious swim lesson time. These swimmers love to use bathroom breaks as an excuse to get out of their swim lesson, even when they don’t really have to use the bathroom. These students know exactly what they are doing, and know that their instructor can’t just ignore a plea for a bathroom break. Once the swim instructor and parents catch on to this clever tactic and learn to distinguish a real need for a bathroom break from a fake one , the swimmer will eventually stop using the excuse. These swimmers tend to need a little extra motivation. Many parents will do whatever it takes to get their kids to swim and listen to their swim instructor, often promising a toy or treat if they have a successful lesson. These swimmers generally know they are working the system with their parents, but if it gets them swimming, who are we to say no! This entry was posted in El Dorado Hills, Roseville, Sacramento, Swimming Lessons, Wallen Swim. Bookmark the permalink.